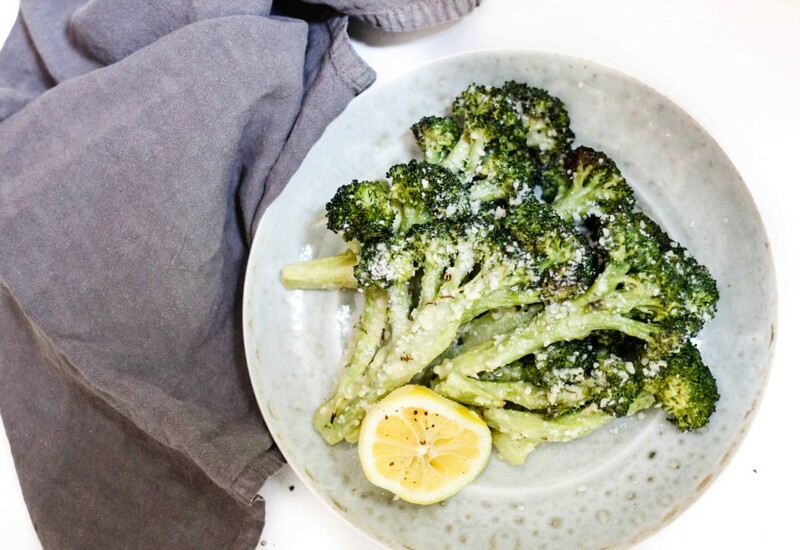 Roasted broccoli spears are coated in a homemade caesar dressing. With a generous sprinkle of grated pecorino romano cheese, this recipe is sure to become a favorite way to eat your greens. It's easy to make your own caesar dressing, all you have do you is blend together an egg yolk, olive oil, lemon juice, Dijon mustard, garlic, and anchovy paste. You will soon wonder why anyone buys dressing from a bottle! Want to make this a complete meal? Try serving this broccoli with grilled chicken or steak. If the idea of using anchovy paste makes you nervous, don't worry! This ingredient doesn't taste fishy, it simply adds a unique depth of flavor and saltiness to the dressing. Per Serving: 331 calories; 36g fat; 2.1g carbohydrates; 2g protein; 49mg cholesterol; 83mg sodium. I've been looking for ways to enjoy broccoli more as cooked broccoli is not really my thing. I like this take on a caesar salad. Served it with some grilled chicken for meal prep. This roasted Caesar broccoli was delicious! The homemade dressing was a creative way to change up broccoli, we really loved it.